Worms W.M.D is Out Now! Watch the Worms W.M.D Launch Trailer! Thank you to everyone that has followed Worms W.M.D since we announced it last year. Your support and enthusiasm has been simply amazing. We really hope that you enjoy the game! Worms W.M.D - Mechanized Mayhem Trailer! What do you think of the new trailer? Let us know in the comments below! And stop by the Worms W.M.D forums to talk to us about the game! Welcome to the Team17 Publisher sale! We’ve got some sizzling hot deals for you and things are heating up! For a short time only you can get up to 90% of Team17 games, so what are you waiting for? If you liked the announcement please give it a thumbs up! Worms W.M.D Release Date and All-Stars Pre-Order Pack Announcement! I want to start by thanking everyone for their support and enthusiasm for Worms W.M.D, it’s been nothing short of amazing. And now I’m super happy to announce that you’ll be able to get your hands on Worms W.M.D when it launches August 23rd. We’re celebrating the launch of Worms W.M.D by gathering up our friends from across gaming for the Worms W.M.D All-Stars Pre-Order. Worms fans worldwide are eager to cause mayhem with the all-new, mega-powerful Tank in Worms W.M.D., but wait until they get their hands on the Rocket League Octane Battle-Car! Soccer meets driving meets Worms. What's not to like? Use the Goat-on-a-Rope weapon to strike fear into the hearts of your enemies as the goat swings around the gorgeous digitally painted 2D landscapes using its sticky tongue to hone in on them! Laugh maniacally as the homicidal maniac with hooves explodes, turning your opponents’ troops into worm meat! We also have a pretty cool Goat Simulator three mask set. Because, why not? It’s Payday time for the worms. Stick it to the man by dressing your invertebrate chums up in the masks that have become iconic for millions of PAYDAY 2 fans around the world and plan your attack looking like a total badass. They’ll never take you alive! The most outrageous, over-the-top action franchise in videogames, arrives in Worms W.M.D in the form of the Dubstep gun from Saints Row IV. This baby can inflict massive damage whilst making pedestrians (and worms) dance. Yes, dance. Team17 is proud, and slightly nervous, to announce that the Dubstep Gun will be bringing the dance-pocalypse as one of our mounted guns in honour of this awesome weapon. The free-to-play zombie survival sensation, where millions of users try their best to stay alive, shuffles into Worms W.M.D in search of brains! And in homage to this popular zomb-fest, Worms fans can dress their slimy pals in a three mask set and wage war in an Unturned mission. Coming to the explosive rescue of worms everywhere is the fan favourite Broforce Turkey Bomb, bringing the pain in Worms W.M.D. And that’s not all! The Liberty Strike is a Broforce flavoured airstrike which will rain down fiery hell from the skies. Booyah! The War Mage and Sorceress have vowed to protect the world and guard the rifts. But sometime after the last great battle, trouble is brewing again. Whilst we wait for the Orc Invasion, we can dress our worms up in this Orcs Must Die! three mask set and unleash the excellent crafted minions weapon. Dress your worms up as one of gaming’s most anticipated double acts with the awesome Yooka-Laylee seven mask set! A three mask set from the award-winning 2015 hit The Escapists is a must-have accessory for all wormy wannabe escapists. And if you want somewhere different to escape to, there’s a new mission waiting for you. Ahhhh, precious memories of mutually-assured worm destruction! Don’t you just wish you could re-live them? We’ve got you covered! Unleash the Ming Vase, Sheep Launcher and Kamikaze weapons, get stuck into five classic missions and head into battle in a classic Worms three mask set! TF2 brings the worm pain with the devastating Sentry Gun weapon and nine mask set featuring the full TF2 crew of Pyro, Demoman, Medic, Spy, Soldier, Scout, Sniper, Heavy and Engineer. Stop by the Worms W.M.D forum to let us know what you think of the All-Stars Pre-Order. And if you liked the announcement please give it a big thumbs up! Worms W.M.D - Teamster Tales #3: Weapons! Welcome to another episode of Worms W.M.D - Teamster Tales! In episode three of our miniseries we explore the weapons, both new and old in Worms W.M.D. From Dodgy Phone Batteries to mounted gun emplacements, there's something for every Worm's arsenal. 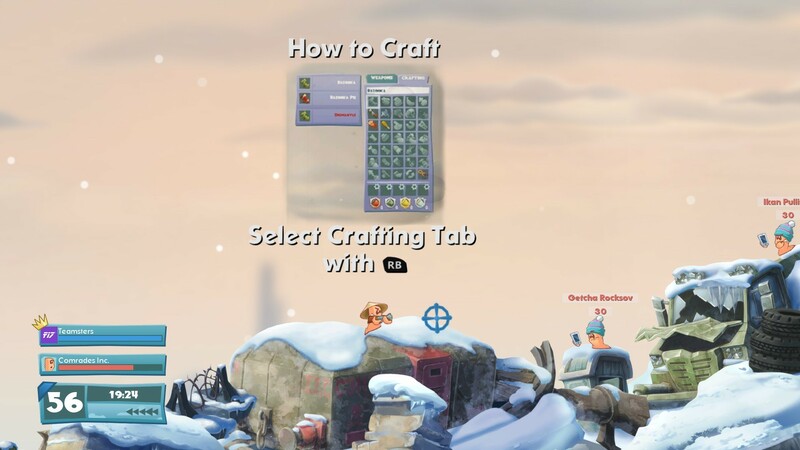 ICYMI: During E3 we revealed crafting, a game changer for the Worms series. Check out the crafting trailer! We want to know what your favourite weapons are and what you think about the latest Teamster tale so leave a comment down below and stop by the Worms W.M.D forum! If you liked the announcement and the trailer please give it a thumbs up! Worms W.M.D - Classic New Weapons Trailer! And Epic Deals! 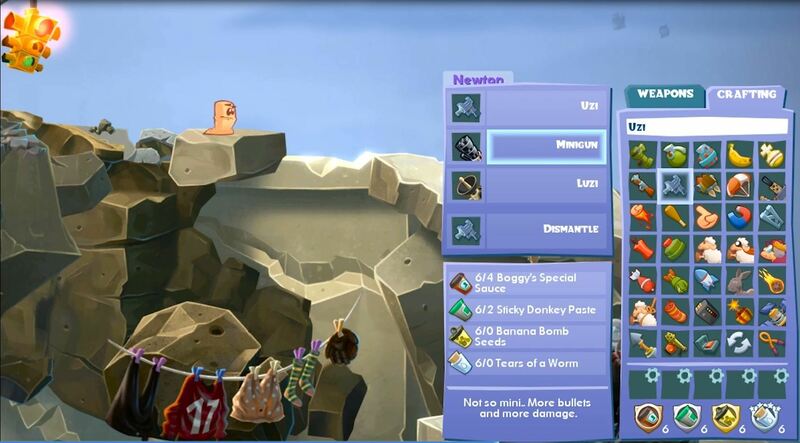 Are you ready to unleash over 80 weapons in Worms W.M.D? From your favorite classics to new, inventive and intriguing weapons to get your destructive juices flowing the Worms are ready for war! Oh, there's also now an Orbital Satellite than melts land...keep an eye out for that one. Don’t forget that there’s still time to pick up some amazing deals in the Steam Summer Picnic sale! If you liked the trailer (and the deals) please give the announcement a thumbs up! Come and join Team17 for the Steam Summer Picnic Sale and feast on the tastiest deals across our catalogue. If you pick up any of our games make sure to stop by forums and say hi, we’re in there every day and there are amazing communities to join! Let’s get straight into the mouth-wateringly juicy deals! Add our up-coming games to your wishlist to keep up to date with the latest news! Welcome to a new way to play Worms! For the first time ever you’ll be able to adapt to situations on the fly by crafting an assortment of fittingly crazy weapons. Collecting the brand new crafting crates will give you access to 4 wonderful ingredients to craft your new favourite weapons. Short of ingredients? Dismantle the weapons you don’t plan on using and craft your way to victory! Whilst you’re waiting for that friend of yours that takes forever to do anything, you can have your hands busy crafting. Yep, that’s right, Worms W.M.D will let you dismantle and craft weapons during the enemies turn. Which of course means that they’ll likely be crafting during yours. We want to know what you think of crafting so stop by the Worms W.M.D forum and say hello! In episode one of this brand new miniseries we discuss the cornerstone of any Worms game, it's multiplayer. From weapons to rivalries, no stone is left unturned in this video! We’re excited to let you all know that our friends over at Xbox Achievements have invited us to take over the Resero Games Stage to show off Worms W.M.D. Me (Danny) and Team17’s other Community Manager Jonno will be playing some Worms Multiplayer up on stage. We’ll have some surprises up our sleeves for those that come to watch! We’ll be onstage at 4pm on Saturday 28th May. We’re also super excited to announce Team17’s partnership with Cambridge based independent developer Ghost Town Games to publish the chaotic, couch co-op cooking game, Overcooked, on Xbox One, PlayStation 4 and PC. New Worms W.M.D Trailer News! Let’s face it. Worms is at it’s best when playing with others. Today’s new trailer for Worms W.M.D celebrates those moments of Wonderful Multiplayer Destruction. Stop by the W.M.D store page to find all the juicy details and be sure to add it to your wishlist so you’re notified about all the latest Worms W.M.D news. Come and join us in the W.M.D forum to get sneak peeks and give your feedback on what you want Worms W.M.D to be. 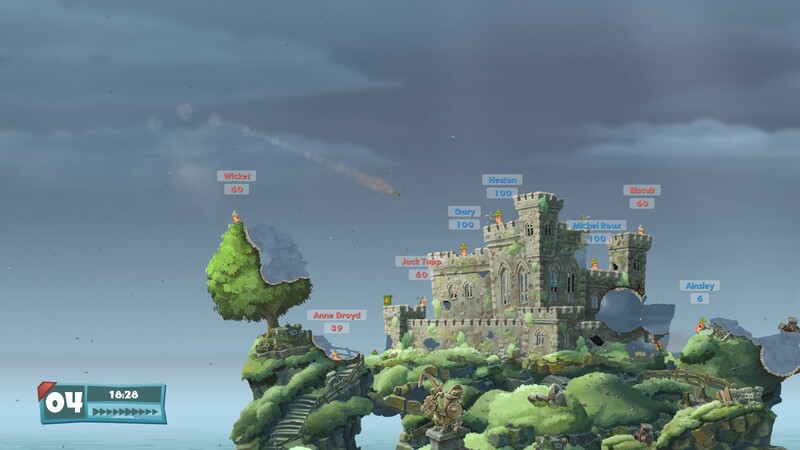 This is the best place to talk to fellow Worms fans and ask questions to the team making the game.